If you have been accused of a Criminal Offense and arrested, talking more rarely helps. 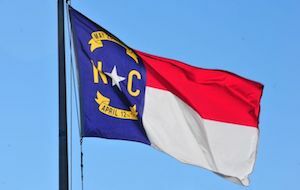 There is a reason Miranda Warnings are given: The United States Supreme Court, as does anyone experienced with the Criminal Justice system in the Carolinas, understands the importance and power of inculpatory statements. Few things impact a Jury as much as the statements of the accused against him or herself. Long experience shows, despite the strength of any piece or collection of evidence, police ALWAYS want a confession. Many people know they have a right to silence or to “remain silent,” but they misunderstand when that right applies and what the consequences are if Miranda Warnings are not given. Indeed, while a particular statement of the accused may be suppressed or otherwise found inadmissible as evidence, it does NOT mean a charge is automatically dismissed. If you have been arrested, chances are Police believe you have done something wrong. . .or at least have come to the conclusion that Probable Cause exists to make an arrest and continue the investigation. In many if not most instances, the process of charging and arresting someone is not personal. It is a cold, hard decision based upon the facts as known at the time and an application of the law. It is also important to understand that Probable Cause to Arrest and the subsequent decision to arrest may encompass only part of the process. An arrest does not necessarily end the evidence gathering process. Indeed, it may only be the beginning. As such, if you or someone you love have been arrested, TELL POLICE YOU DO NOT WANT TO GIVE ANY FORM OF STATEMENT WITHOUT LEGAL COUNSEL PRESENT. People nowadays seem to post everything on Social Media. Law Enforcement know that. If you feel compelled to stay active on Facebook, Instagram, Twitter, and Google+ make certain your profiles are PRIVATE. It is extremely common for police to review PUBLIC profiles available on different social media accounts. A picture is said to speak a thousand words. Video is all the more powerful. While it may be funny at the time to post something, public materials on YouTube.com and Vine.com can have a powerful impact as it pertains to criminal charges. So if you have posted video recordings of any form, it makes sense to make those PRIVATE as well. 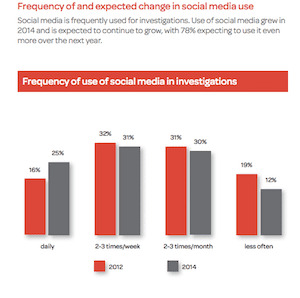 An online study was conducted among the PoliceOne.com community in February of 2014, here's what they think: 73% believe using social media helps solve crimes faster; up six percent from 2012. As discussed previously, Miranda Warnings often include the right to silence AND the right to have an attorney present. This is another area where the United States Supreme Court recognizes the importance of Legal Counsel. "[The assistance of counsel] is one of the safeguards of the Sixth Amendment deemed necessary to Insure fundamental human rights of lofe and liberty... The Sixth Amendment stands as a constant admonition that, if the constitucional safeguards it provides be lost, justice will not 'still be done'"
After an arrest, it makes sense to consult with Legal Counsel. Many Lawyers and Law firms (such as Powers Law Firm, PLLC) provide a Confidential Consultation, Free of Charge. Choosing an Attorney is an important decision. You will benefit from spending the same amount of time, thought, and consideration as you would in finding a good doctor or surgeon. Is Criminal Defense a focus of the practice or something handled occasionally? Take a look at our attorney profiles. Investigate our awards, accolades, experience, and professional associations. The lawyers at Powers Law Firm, PLLC are experienced courtroom lawyers. We believe hard work and preparation make for good decisions. Before proceeding in any fashion, whether it is our firm or another, we recommend you speak with and retain legal counsel without delay. 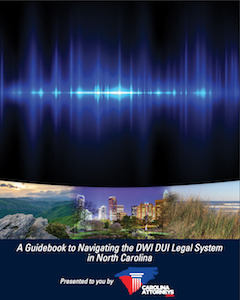 The Powers Law Firm Law Firm helps people in the Carolinas. That means we help people in both North Carolina and South Carolina. We have offices in Charlotte and Rock Hill. 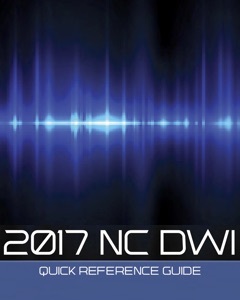 So if you or a loved one has a Criminal, Traffic, DWI, DUI or Impaired Driving matter in either of the Carolinas, we are available for consultation. The attorneys at Powers Law Firm are willing to take on difficult charges. We will travel, when appropriate to different jurisdictions to help people. Obviously it makes sense to figure out what type of case is pending and whether we think we could be of assistance. For Criminal Charges in both South Carolina and North Carolina, we offer a Confidential Consultation, Free of Charge. If a friend or loved one is in jail, it's not unusual to have a lot of questions. Here are a list of reference sources to get more information. Please understand, on-line Jail records often are not immediately posted. 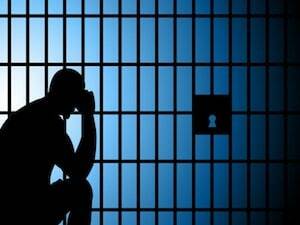 As you might imagine, having a client remain in Jail or Detention makes the process of representation and therefore the handling of any Criminal case incrementally more difficult. In some instances, the conditions of release are so onerous as to make posting a Bond or Bail a practical impossibility. Other cases, with proper preparation and presentation of historical background, criminal history, and personal information, present the opportunity for a Bond Hearing or other Court Appearance to address Bond. Frankly, it can be a complicated process. While we generally prefer immediate release, that may not be a realistic option. There are times when we recommend friends and family hold-off posting a bond, knowing the Conditions of Release may be modified, thus saving potentially substantial sums of money. A lot depends on the type of charges and prior criminal record. Conditions of Release and Bond are a hot-topic issue across many jurisdictions as of late. See More: WILL ATTORNEY COME TO JAIL?